The Sequential Rail Accelerant Array, or, as it is more commonly known among Sunean troops on the ground, the “Stingray,” is a brand-new vehicle that has been deployed to specific Rapid Response Teams in hostile regions outside the Confederation’s borders. 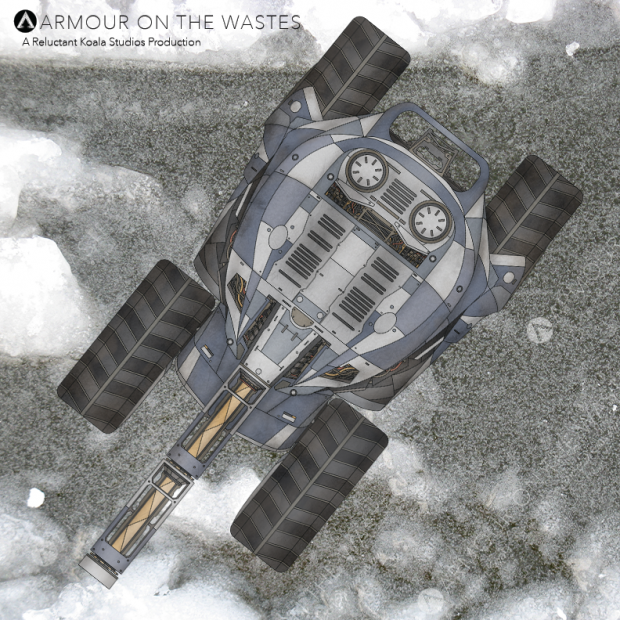 The experimental weapon technology mounted onto the vehicle’s chassis is so new that it has not been miniaturized to the extent where it can yet be mounted in a rotating turret. When activated, the weapon’s array ignites a series of accelerants within the Stingray’s main firing chamber that can propel a heavy magnetic projectile at great distance and speed exceeding that of a normal ballistic weapon. While this type of weapon has a limited effect on modern armor, the impact of the projectile is devastating to conventional shields, often taking them down in a single shot.